Air Tooth: The combination of Air Play and Bluetooth, combined with state of the art DSP audio processing. 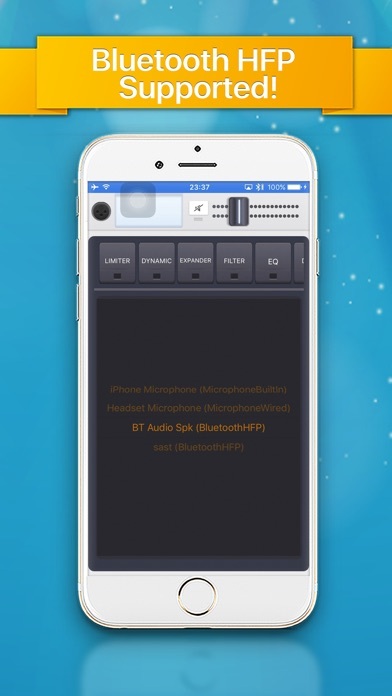 The result is a fully equipped mic channel strip in one app with hardware accelerated audio tool integrated. 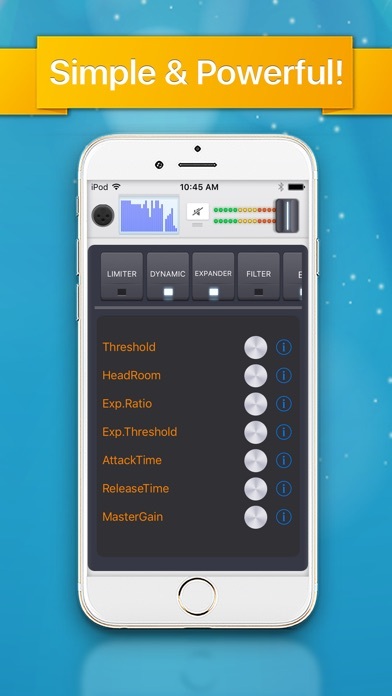 This powerful audio tool is meant for those who need to define how their mic signal is processed - and for everybody else who wants to enjoy added options for their microphone. Eight sophisticated sound processing modules allow adjustments and offer possibilities that usually are found in professional audio consoles. 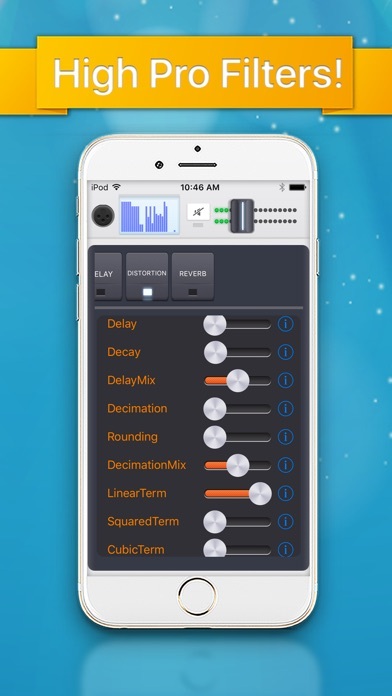 Pilcrow now brings this state-of-the art mic and audio tools to the iPhone and the iPad. All of these processing tools can be run in parallel, allowing precise adjustments ecatrly where and how it is needed. Of course, each of these processing modules comes with adjustable parameters to shape the sound exactly as desired. 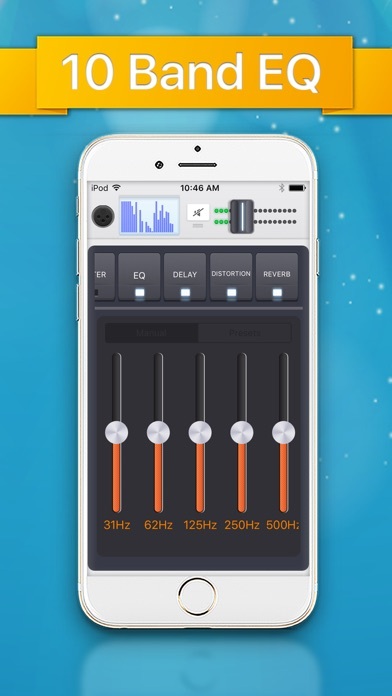 Air Tooth Mic brings state-of-the art, hardware accelerated audio tools to iOS. For more detail, more options, more definition. And of course, more fun! The must have tool box for advanced audio processing.